While ubiquitous photography was not the focus of ISOJ 2018, the current state of aﬀairs in online journalism denotes interesting relations with what is shaping the engagement with photography across digital media, especially taking into consideration the meaningful contribution of gathering lectures from scholars together with a diverse palette of practitioners active in the field of online journalism in the same event. 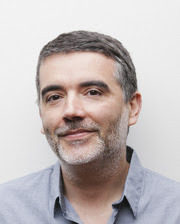 As journalist Ismael Nafría succinctly exposed in his review of ISOJ 2018 at the 11th Iberian American Colloquium on Digital Journalism, the prevalent idea conveyed during the several sessions consisted of promoting the development of quality journalism worth paying for, engaging the intended audience both in terms of content and form, to this end also signaling the growing importance of carefully crafted newsletters and podcasts. This notion of pursuing a meaningful connection with the audience resonates greatly with one of the key thoughts laid out by Earl Wilkinson, executive director and CEO of INMA (International News Media Association) in the Keynote Panel “Newspapers in a post-advertising era”: “economics of content is the new lingua franca.” Following the concentration of market share led by global players such as Google, Facebook, and Amazon, online journalism is facing the need to diversify its sources of revenue, acting beyond the historically privileged relationship with advertising. Several pathways for achieving financial sustainability were discussed during ISOJ 2018, namely paid subscriptions and premium memberships (probably the most agreed upon of the options scrutinized), donation and crowdfunding schemes, the complementary organization of public events, and the licensing of original content to third parties. Needless to say, a sustainable revenue model stems from having high quality standards regarding the product being oﬀered, most of the invited speakers stressing the crucial notion that it is the story that counts on journalism, and also how building reader trust is the foundation for long-term success. The awareness of a paradigm change in advertising revenue has led to the common reasoning that journalism needs to be carried out in close connection with a business model having reader revenue as a key factor. As a consequence, in tandem to the core function of creating quality news-related content, journalists are encouraged to be increasingly involved with the dynamics of digital marketing and technology. In this regard, Sara Glines, president and publisher of The News & Observer, discussed online journalism and digital subscriptions through the optics of a “readership experience funnel,” the key question consisting of identifying what moves the target audience, with the intent of gaining readership preference, subsequent loyalty through the payment of usage, and, in the most successful instances, the advocacy of recommendation to others. In her keynote session, Meredith Artley, senior vice president and editor-in-chief of CNN Digital Worldwide, made a useful overview of the fundamentals of journalism, advocating a pragmatic return to basics (i.e. breaking news, investigating, fact checking, correcting and clarifying), with a rigorous adherence to the truth. The latter principle was, rather unsurprisingly, another pervasive notion discussed during ISOJ 2018. In times of post-truth and polarized politics, Meredith Artley posed a series of important questions underscoring the need for greater introspection when practicing journalism, from the acknowledgment of the dangers of reporting influenced by personal filter bubbles, the correct timing of calling out untruthful matters, or even of assessing the credibility itself of using the term “fake news.” Still concerning this present day problematic, Ben Smith, editor-in-chief of Buzzfeed, defended in his keynote the stance of exercising restraint when reacting to post-truth matters as to credibly push back distortions, insisting on the intrinsic value of quality reporting, perhaps best summarized in the recurring expression advanced by Marty Baron, executive editor of The Washington Post, when confronted with the growing diﬃculties of pursuing unbiased news coverage of current events in the U.S. and abroad: “keep doing our work”. Another important notion arising from ISOJ 2018 lies in the advantages of planning and controlling the privileged medium of engagement with the target audience. Meredith Artley presented the advantages of a large scale approach during her keynote, CNN having set in place its own core platform for distributing content online, relieving the dependency on third-party platforms and the specifics of its aﬀordances in order to reach out and sustain engagement. Although this level of infrastructural investment proves feasible in large corporations as CNN, other interesting possibilities of tackling custom communication channels at a smaller scale were also put in evidence. In the panel “Revenue: E-commerce, events, membership and the search for new revenue streams,” Rob Wijnberg, editor-in-chief and founder of De Correspondent (Netherlands), demonstrated how an emerging platform successfully established its own digital distribution channel. Initially launched via crowdfunding, De Correspondent is characterized by the innovative strategy of promoting in-depth journalism stories as an alternative to daily news cycles, all content resulting from the collaboration between the editorial staﬀ and its membership-based subscription platform. As stressed by the motto “the greatest untapped source of knowledge in journalism is the readers themselves,” De Correspondent’s editorial staﬀ encourages its readers/members to contribute in their field of expertise to better address a given topic of interest, the end result being made available in an ad-free, carefully designed online platform. It is also worth mentioning that, in order to make this collaborative framework possible, De Correspondent developed its own customer relationship management system grouping members in categories of expertise, verifying credentials of each member in due course. In addition to the implementation of a custom messaging system, members are regularly contacted by the editorial staﬀ for proofing articles and obtaining relevant insights, overall evidencing the exemplary setup of an authentic connection with the target audience, a recurring goal that surfaced throughout ISOJ 2018, namely in the specialized panels touching upon the growing importance of email newsletters, podcasts and online video. This being said, I would like to conclude by making a series of brief remarks relating some of the above highlights from the ISOJ 2018 program with the phenomenon of photography sharing in social media streams, the subject of an ongoing PhD research having the Instagram network as a privileged case study. Just as online journalism is urged to be carried out in close connection with marketing and the latest technological developments in digital media, photography tends to become but part of a bigger equation in a visual communication medium like Instagram. If the topic of photography sharing, as observed in Instagram, goes well beyond the boundaries of journalism, it nevertheless poses similar questions when considering the dynamics of users pursuing the monetization of their Instagram profiles. As a general rule these are highly committed Instagram users, clearly identifying a target audience and proceeding according to a methodical workflow for publishing quality content, attracting and sustaining substantial engagement from other users. As Instagram is made freely available for everyone, monetization is often achieved through such pathways as the recommendation of products or services, or even by oﬀering mentoring and consulting on their specialty of choice. Still, the Instagram presence of most of these users is meant to resonate as authentic, aiming to build a relationship of trust over time with followers (the target audience), seeking their preference, loyalty, and advocacy – similarly to the above mentioned “readership experience funnel” framework –, giving constant feedback through comments and instant messaging. Acknowledging the extent to which dubious informational content has thrived across digital media in the current post-truth climate, photography sharing in Instagram denotes its own changing patterns in the creation and reception of the photographic image. Perhaps more importantly, Instagram signals a cultural regime where authenticity and truth are set and interpreted in an elusive manner, the corresponding relationships of engagement and trust prone to evolve consciously grounded in an interplay of make-believe, for obvious reasons in many instances operating outside of the ethos that characterizes best practices in online journalism. In this regard, and reflecting on the changing value of the photographic image in Instagram having as an additional vector its entanglement with the condition of entertainment as to sustain engagement from followers, it would be useful to consider addressing as a research subject the extent to which contemporary news organizations, in the drive to achieve financial sustainability, operate under the influence of a similar dilemma as to attract the preference of readers, the overview led by Ben Smith on Buzzfeed being one notable case study.